This is a very easy hike on a wide multi-use trail with great views of the Lake, Mt. Tam, and even turtles getting some sun - if you are lucky! 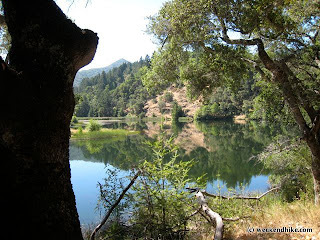 Lake Lagunitas is the smallest lake in the Mt. Tam watershed and makes for a very quick easy hike. This lake has a large parking lot -- yet had very few visitors when we arrived on a Sunday. I think most folks dont come this far into the watershed normally. There is way to make this hike a much longer 7+ mile hike by continuing on to Bon Tempe Lake. On this day, we just did a quick hour hike around Lake Lagunitas. The parking lot is easy to find after going about 1.5 miles after paying $8 at the watershed pay station. The trail up from the parking lot leads to the main dam of the lake and back of the Rangers house. From here you have a great view of the lake and Mt Tam in the distance. This hike is a loop around the lake so you can go right or left - we chose to continue up the dirt steps to the left. The hike route is very easy to follow, there are some intersections -- but just follow the trail closest to the lake. The Trail around the lake is very wide and bikes are allowed. There are no major uphills or downhills so the bikes on the trail dont cause too much danger. There are a couple bridges along the way -- all are very well maintained and can accommodate bikes, horses and hikers just fine. There is a outlook deck on the lake right before the dam as you finish the hike. 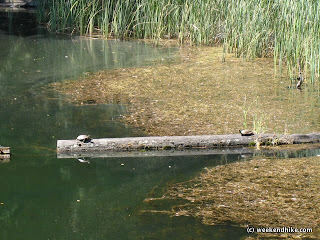 Be sure to look for the turtles on the wave logs. They are easy to miss if you arent looking for them. From the outlook deck, you will see the trail leading back across the dam to the where you started the hike. 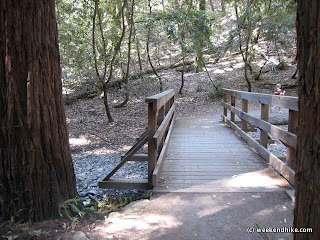 Another option is to continue on the other trail (slightly uphill) toward Bon Tempe Lake. This is another 5+ mile hike around the nearby bigger lake. 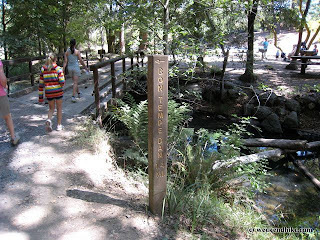 In case you have second thoughts, after a short distance on this trail, you will reconnect with the Lake Lagunitas trailhead parking lot. There is a bathroom and water available at the parking lot. 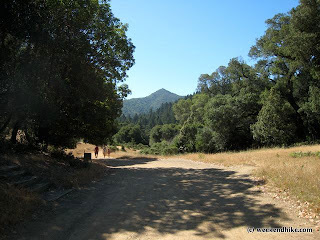 Be sure to bring a hat/sunglasses and water bottle on a summer day as it can be very sunny and hot in Marin during this time of the year. 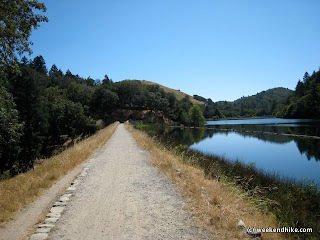 The Marin Watershed area has over 130 miles of trails and unpaved roads, many of which connect with adjacent national and state parks and county open space district lands. Its a very nice area and VERY well maintained. Facilities - restrooms and water at the trailhead/parking lot. Take Highway 101 North to the Central San Rafael Exit. Make a left turn on Third Street. Stay on Third. It will turn into Sir Francis Drake Blvd. Stay on Sir Francis Drake until you get to Fairfax town limits. You will go over a small hill and as you head down look for a “Valero” gas station on your left. Make a left immediately after the gas station at the wooden “Fairfax” sign (unfortunately there is a well hidden street sign that many motorist do not see, but the cross-street is Pacheco). At the stop sign make a right onto Broadway. At the next stop sign make a left onto Bolinas Rd. 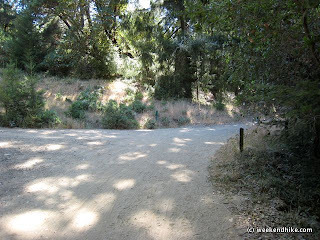 Go up Bolinas road approximately 1.5 miles (you will pass the Deer Park Villa restaurant). 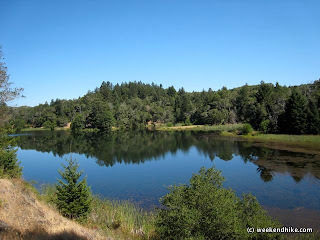 At 700 Bolinas Road there is a wooden sign on your left saying “Lake Lagunitas”. Make that left turn onto Sky Oaks Road; go up approximately 1/4 mile and Sky Oaks Watershed Headquarters is on the left at the crest of the hill. 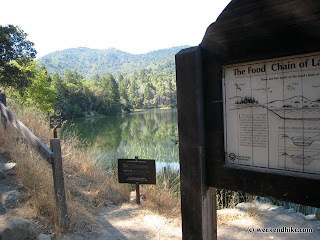 You are also at the entrance to Lagunitas and Bon Tempe Lakes. (If you miss the Sky Oaks Road turn-off and you get to the Meadow Club golf course you have gone too far). A $7.00 Vehicle Entrance Fee is required daily. 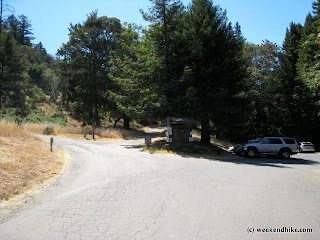 The Lagunitas picnic area is about 1½ miles beyond the entrance Kiosk/Pay Station. After you have paid your entrance fee, stay on the paved road and within a mile or so you will come to a long straightaway and then a T-intersection. Go right at the intersection; within 100 yards you will be at the Lake Lagunitas parking area. You maybe pay $4 for a lousy latte at Starbucks (or some other daily indulgence) but complain about paying $7 for an amazing hike. It is such a small price for a great day out on the trails. I really appreciate your review of the trail and thank you for your part in promoting one of the bay area's greatest resources!